In every country around the world there has been something of an explosion in the past two years in food delivery services. The potential to grow a successful business in restaurant & fast food delivery is extremely apparent especially with the phenomenal growth of mobile. One Delivery are on the hunt for hungry entrepreneurs across the world to take on a International Franchise in their country and take advantage of this growing marketplace. 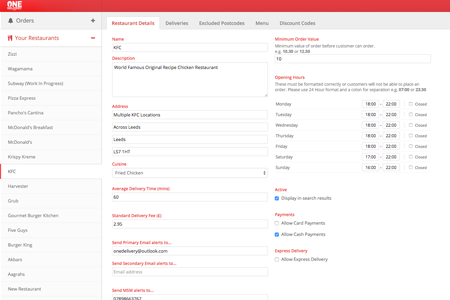 We offer you the opportunity to launch your own franchise-able online ordering delivery business where you can capitalise on exponential growth using our franchising method. As the Master Licence holder you will franchise out towns/cities across all your country and earning from every single one of these businesses! Realistically Earn £100k Per Year! Using the franchise model such as the way we do in the UK you can expect scaleable growth across multiple areas quickly with minimal investment. We provide you with the latest in online ordering technology, driver dispatch & tracking systems and also working with the best in online payment providers. We offer a simple API allowing many partners to plug into creating a stream of new delivery streams. Have a full business ready to launch in a matter of weeks. As the International Master Licence holder you have full control as to what areas you create & franchise out. Our system uses the latest in Google Maps technology which allows you to draw specified “Franchise Zones/Areas” or allocate postcode/zip-codes. 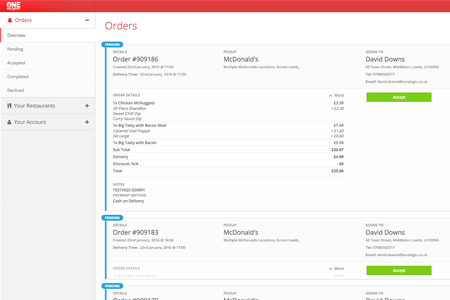 This feature is used all..
through the system allowing franchisees to draw their own delivery zones and if necessary, allocate different delivery fees per zone. 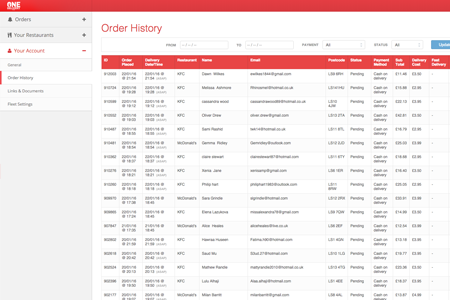 Using your admin portal you have full control over everything - order history, customers, restaurants, franchisees & much much more. Still interested and want to know more? ?